The IOC has acknowledged the health risks of pollution after smog marred India's Test series win against Sri Lanka. The two sides drew the third Test this week to give India a 1-0 series triumph, but much of the focus was on the playing conditions, with Sri Lanka players wearing masks to protect themselves and some falling ill as smog engulfed Delhi's Feroz Shah Kotla Ground. This led to questions around why the match had been allowed to go ahead, with the players' health of primary concern. 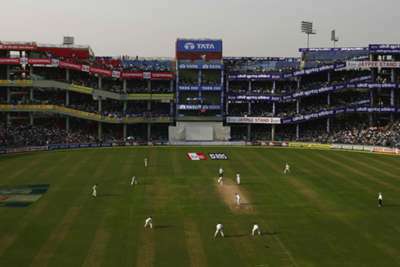 "The ICC has noted the conditions in which the Delhi Test was played and has already requested the issue is considered by the medical committee for guidance should the situation arise in future," a spokesperson said. "The matter is likely to be discussed in February's ICC meetings." Sri Lanka's tour of India continues with their one-day international series starting in Dharamsala on Sunday.